With the work of more than 1,000 artists on display at the fair, which runs through Saturday, it’s a little surprising that just about 13% of the artists — roughly 130 — are working in the fundamental medium of painting. 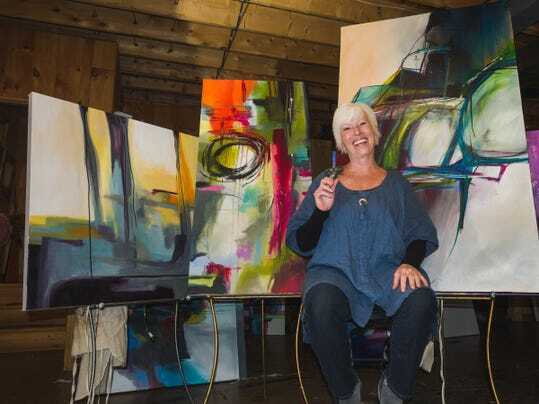 The good news for those who love the thrill of paint, especially oils or acrylics on a support base like canvas, is that the fair boasts enough work in all manner of figurative and abstract styles for folks to get their fill. You just have to be patient. 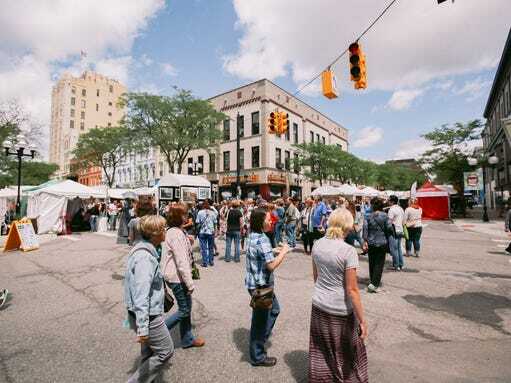 Now in its 56th year, the Ann Arbor Art Fair is one of the oldest and largest events of its kind in the country. It is actually four independent fairs that merge into a single organism, while each individual fair retains a unique character based on geography, art, prices, mission, history and surrounding businesses. The highest concentration of quality work — especially painting — can be found at the Ann Arbor Street Art Fair, the Original, and at Ann Arbor’s South University Art Fair. 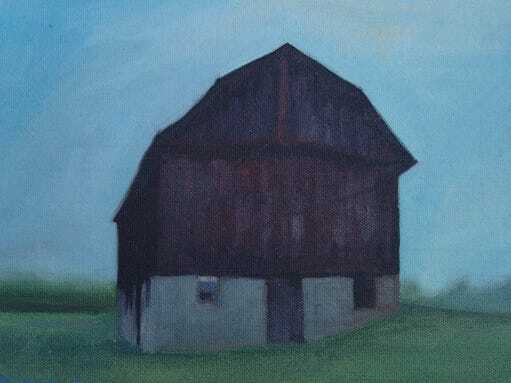 Andy Fletcher, who lives in Wisconsin on the Mississippi River, will be showing his paintings at the Ann Arbor Street Art Fair. 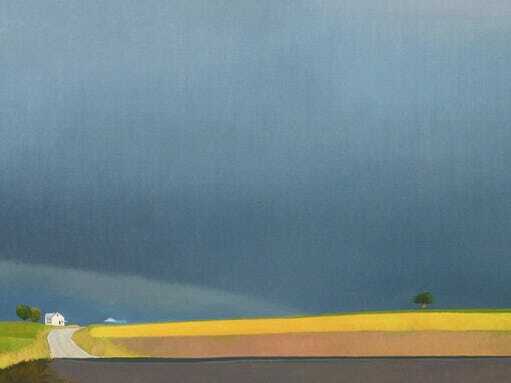 He does mostly landscapes, creating soft-focused, moody pictures of broad, rural horizons, quiet farmhouses and subtle forms. The size of his work ranges from 7-by-10 inches up to 30-by-50 inches, with prices from about $250 to $2,500. Of course, many artists would say something similar about their favorite medium, whatever it may be. Still, there is something magical about the emotional impact of paint on canvas — the depth and nuance of expression that a loaded brush can convey, the power of color, the physical immediacy of a great painting and the incomparable tradition and history of the medium dating back thousands of years. Though Robinson works in a different style rooted in mid-20th Century abstract expressionism, her paintings also reflect her core being. There’s an improvisatory rhythm to her lines, shapes, colors and gestures that grows out of her love of jazz. Her work can be seen at Ann Arbor’s South University Art Fair. She mostly works on a large scale, with paintings up to 6 feet tall. Prices range from $150 to $1,200. When Robinson was a teenager, she worked in a record store along side musicians, and one day, they played her Miles Davis’ “A Tribute to Jack Johnson,” and she was hooked.